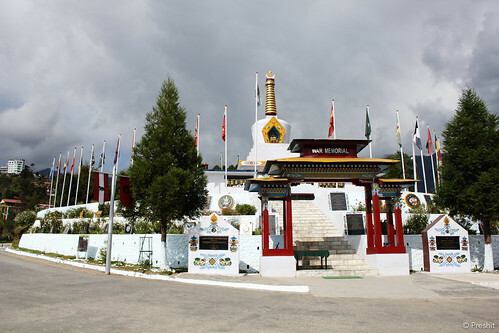 Quoted from site: "The Tawang Memorial is dedicated to the 2420 martyrs killed in the Kameng sector during the 1962 Indo-China war. 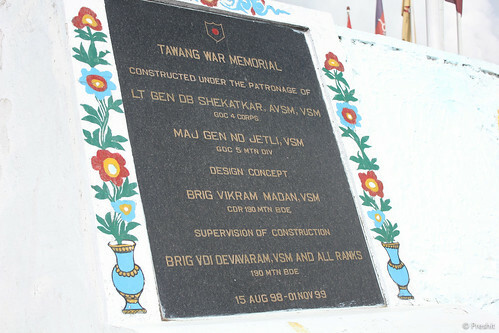 It was inaugurated on Nov 18, 1999, by GOC Eastern Command, Lt. Gen. H.R.S. Kalkat. It is nestled among the picturesque snow-capped peaks overlooking the imposing Tawang-Chu valley in Tawang."